This is a very easy recipe, but can be rather tricky to master (as you can see in the photo documentation!!). 1. 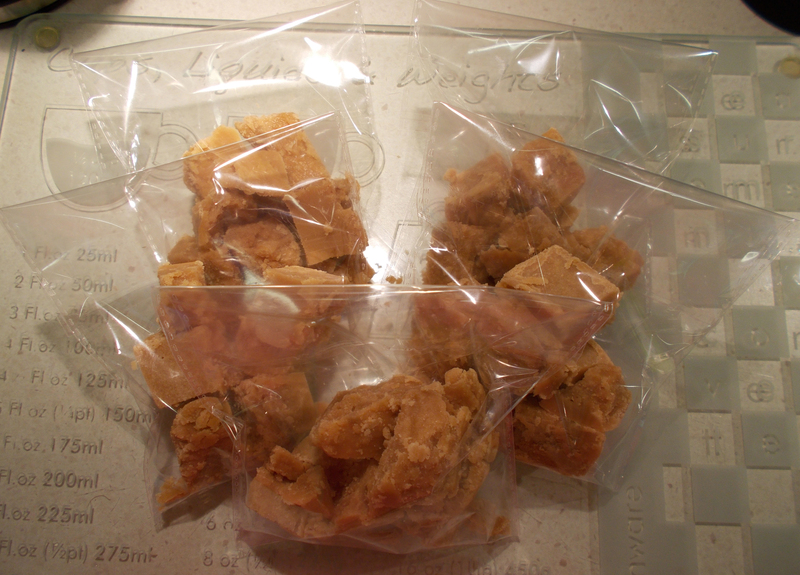 Line a 20cm square tin with baking / greaseproof paper. 3. Turn the heat up and bring to the boil… Do not stir at this point. 4. 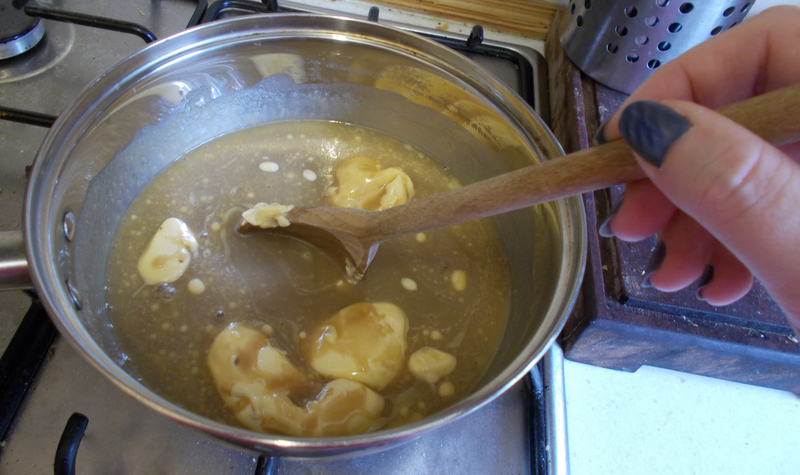 Turn the heat down, so the mixture is now simmering, and stir constantly for 10 – 15 minutes. Make sure that you are constantly scraping the bottom of the pan, as you don’t want the sugar mix to burn. 5. If you have a sugar thermometer, test the temp for 118C. If you do not have one, it’s still easy to check. 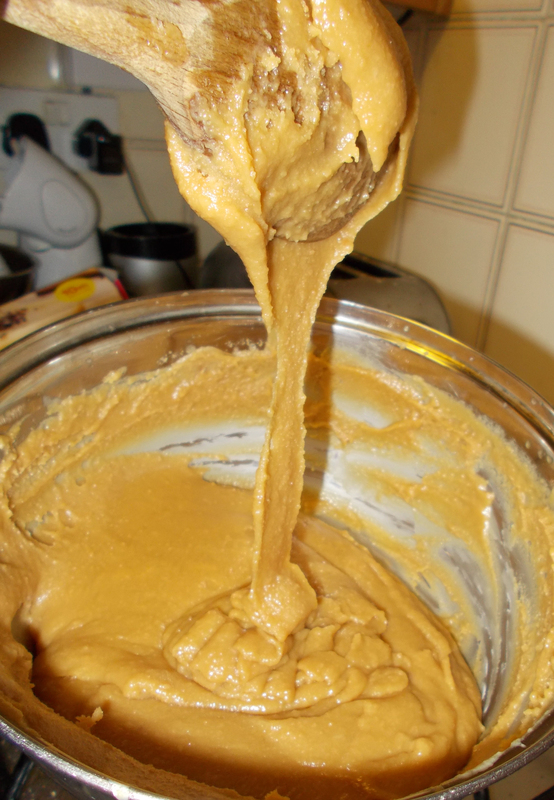 Simply put a drop of the mixture in to a jug of ICE COLD water – a soft ball of fudge should form. 6. If you want to add any of the optional ingredients, do it now. 7. 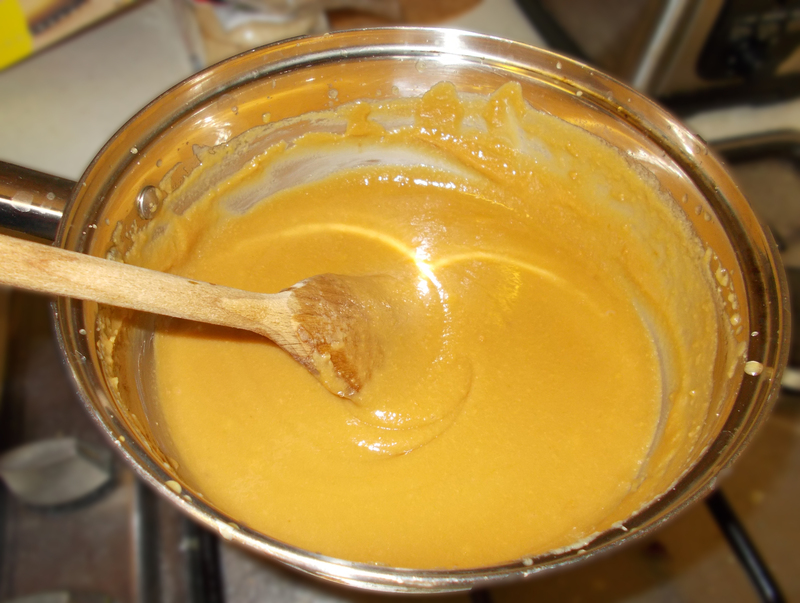 When it’s ready, remove from the heat, and beat constantly with a wooden spoon until the mixture thickens and begins to set. This should take approximately 10 minutes. 8. 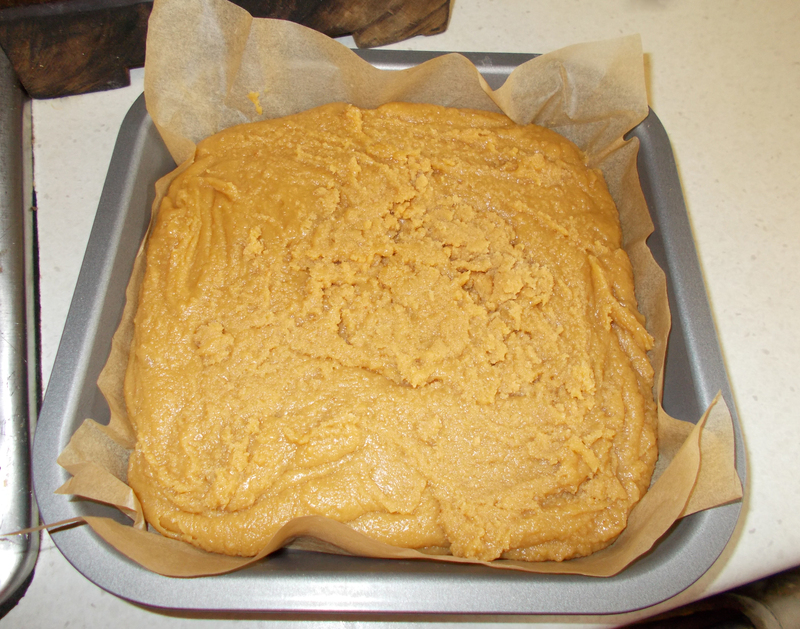 You now have to work VERY quickly, and pour the mixture in to the prepared tin. 9. 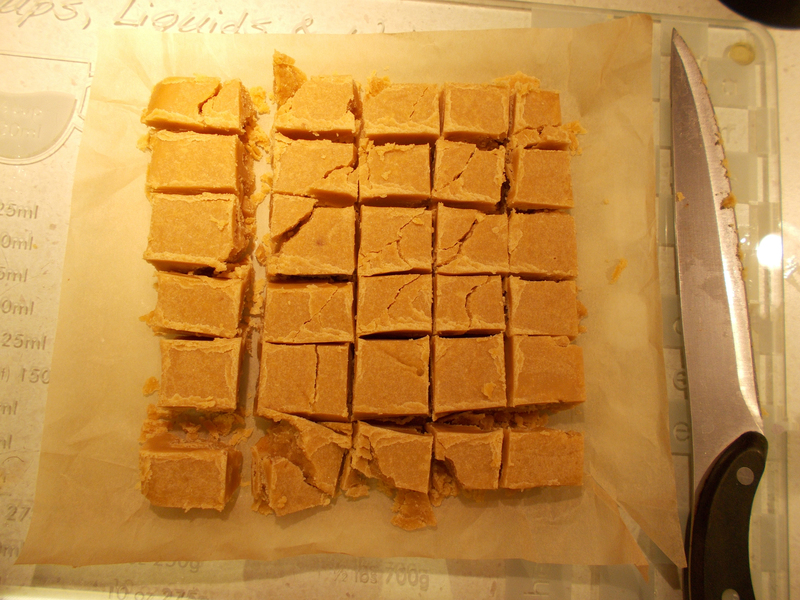 Leave to cool before cutting in to squares. The cooling and setting should take approx 1 hour. As you can see, mine didn’t turn out quite as I would have liked it to. 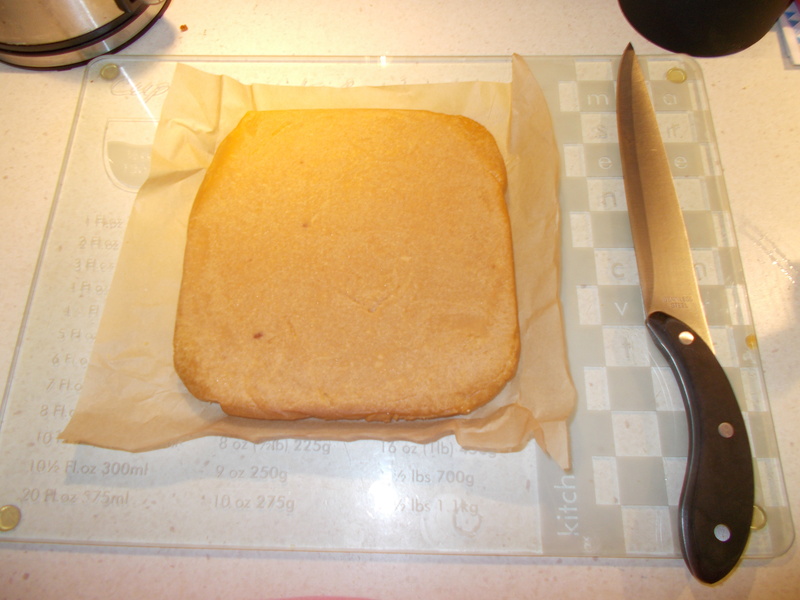 However… It still tasted nice – the hubby and the Gning certainly like it – and it was my first time!